Thank you so much Gillian! As always, it was an absolute pleasure working with you. 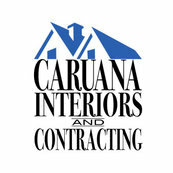 Thanks for trusting us to work in your home. We all hope you enjoy your new spaces! Thanks so much Alana - I hope you both enjoy the new spaces! Thanks Tony! We are so glad you are pleased with everything. All of the guys really enjoyed working at your house. Enjoy the new kitchen! Thanks very much Glen! It was a pleasure working with you, and hope you enjoy your new space! Thanks very much Richard - we are glad we could be of service to you, and we look forward to working with you again! Thanks very much Dennis! We are so happy that you love your new bathroom! It is really a stunning transformation! Thanks Ciara! We are so glad you are happy with the new kitchen counters and backsplash! Thanks vey much Ray, it was great working with you! All the best!